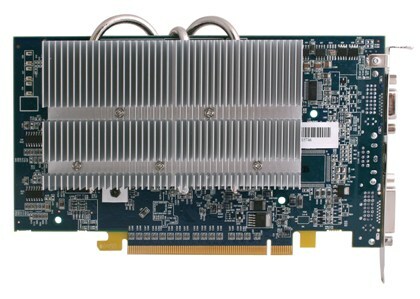 Responding to customer demand, Sapphire Technology Limited, the industry-leading supplier of graphics accelerators, has just announced extended availability of its industry acclaimed Radeon X800GTO series including the much sought after enthusiasts’ special edition RADEON X800GTO. Sapphire’s RADEON X800GTO series delivers high levels of performance to PCI Express graphics users at very affordable price points. Based on the highly successful X800 architectures, the new models all feature a 256-bit memory interface and offer a choice of memory size, GPU cooler and clock speed options. Silently cooled by a revolutionary heatpipe system, the Sapphire RADEON X800GTO ULTIMATE 256MB is equipped with GDDR3 memory and has a standard core clock speed of 400MHz and memory speed of 490MHz (980MHz effective). 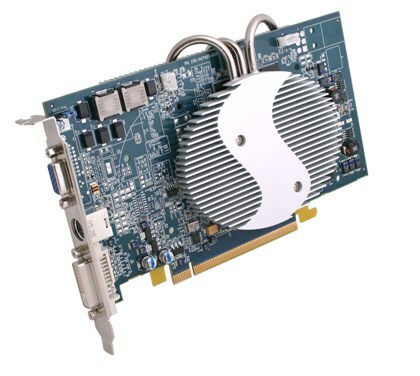 Using the bundled Sapphire TRIXX overclocking tool these speeds can be enhanced significantly, depending on system conditions. For the performance enthusiast the Sapphire RADEON X800GTO2 uses a conventional fan cooler venting outside the case. Fitted with 256MB of 256-bit GDDR3 memory the standard clock speeds are again 400MHz core and 490MHz memory (980MHz effective). The latest version offers dual DVI outputs as well as TV Out. Enthusiasts have found this model particularly appealing for unlocking their passion for performance with enhancements and unrivalled overclocking. Sapphire’s line of RADEON X800GTO graphics accelerators fully supports Microsoft DirectX 9 and incorporates ATI’s SmartShader and SmoothVision technologies for the better enjoyment of top gaming titles, digital photography, video editing and web surfing. Retail versions of these new Sapphire graphics accelerators ship with Sapphire Select, the exciting new way to deliver a choice of games to the end user. Each card is bundled with a DVD containing a selection of top applications and games from several leading software houses. The end customer can play each of the games for a one hour trial before choosing which titles he or she wants to keep and using the activation codes for those titles.